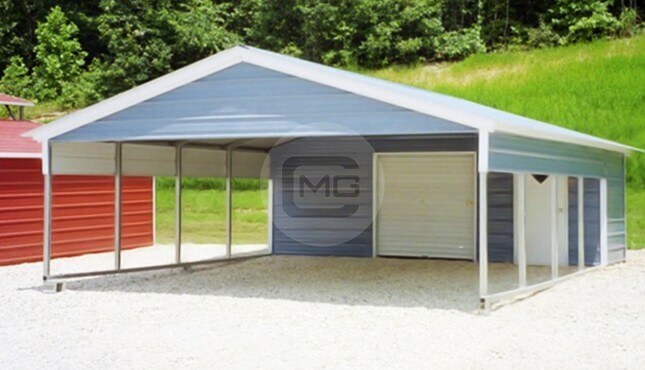 Functional and Durable | Visually Appealing | Built to Last – This 30×70 Metal Building is perfectly customized to offer both, an enclosed storage area and open parking or porch area. 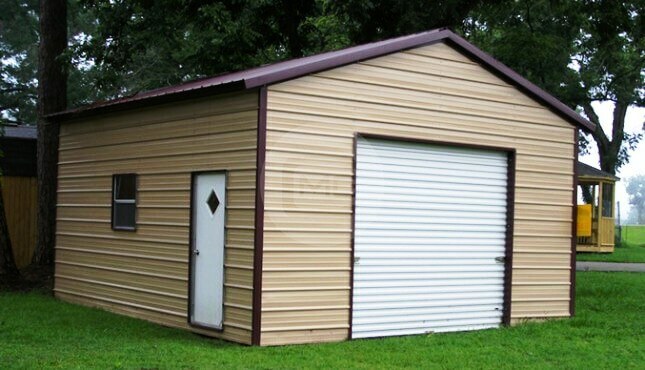 Pictured 30×70 Custom Metal Building is 11’ tall with (4) 12’ x 9’ frame-outs on the side – (2) with Garage doors & (2) Just Frame-outs. 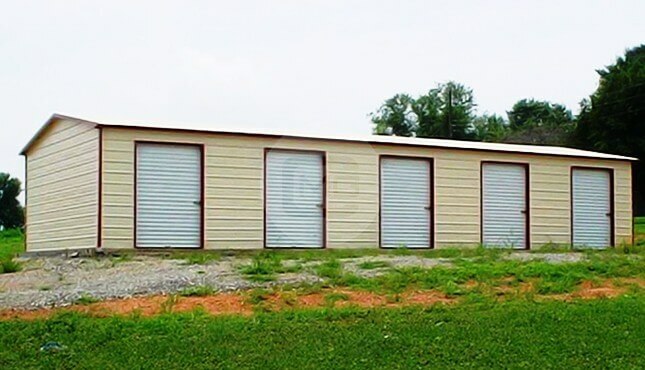 All these entryways are with 45 Degree cut opening. 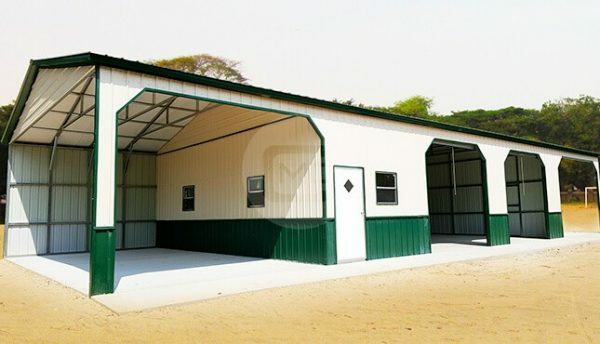 It also has one 36×80” walk-in door and three 30×30” window. 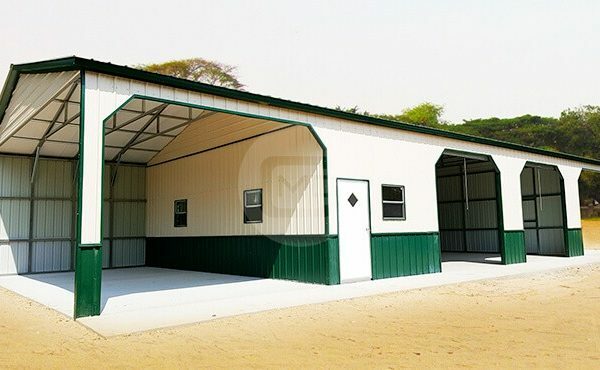 This prefab custom metal building is all vertical meaning all the walls and roof sheet panels are vertically placed. 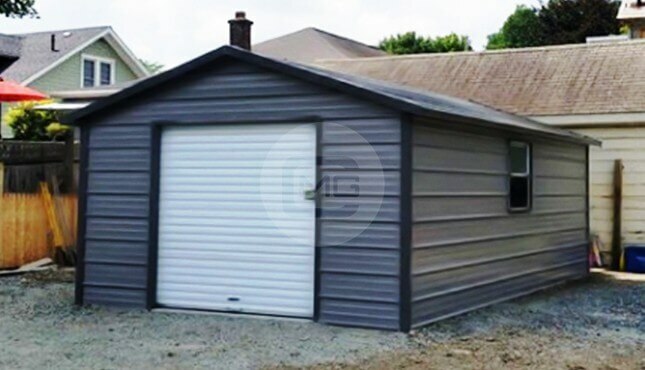 This vertical panel option is most recommended, and durable option for heavy snow areas as the panels run from top to down which doesn’t let the snow on it for long. 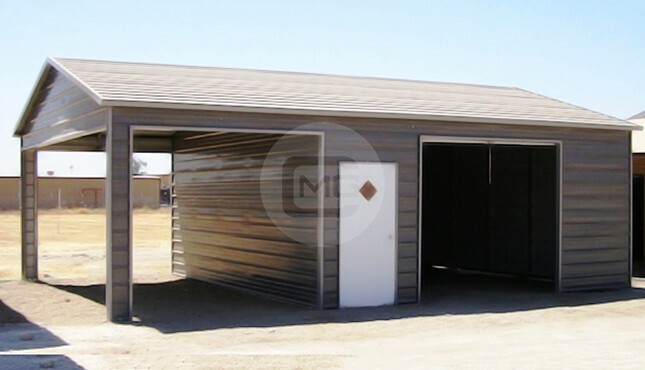 This 30×70’ Custom Metal Building has additional strength and stability by extra anchors and braces, these extra anchors and braces provide more support to the building. 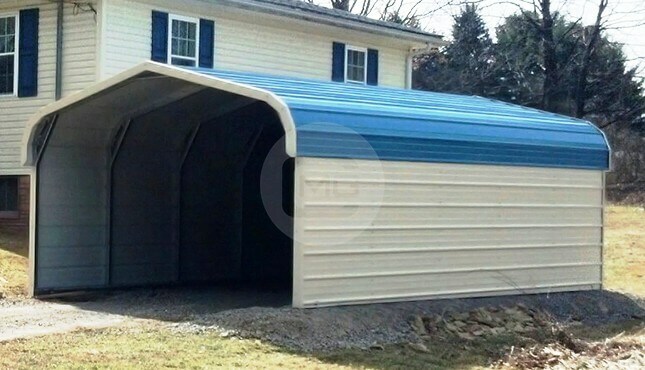 It helps the building to stand strong in high wind gust and snow load. 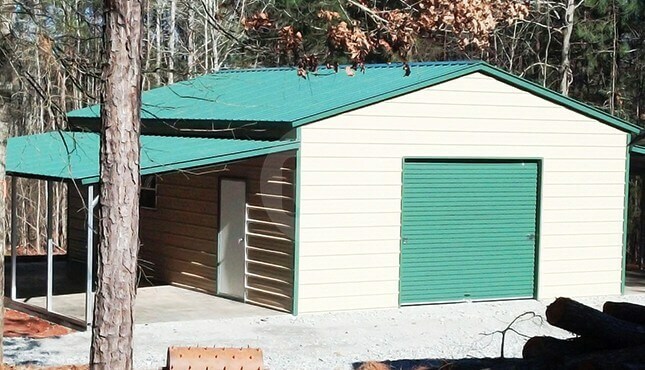 This 30×70 custom building is certified for 140MPH wind gust and 35 PSF ground snow load. 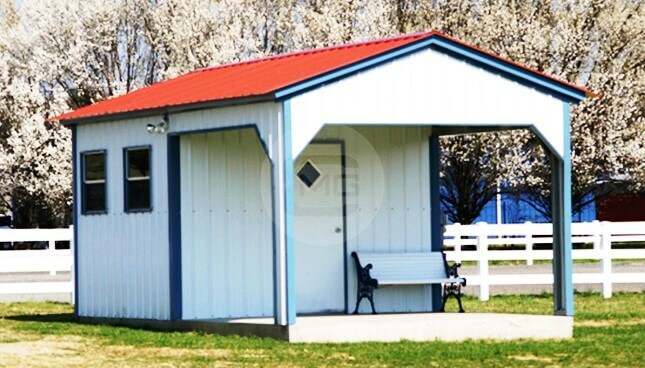 This string building is no less in aesthetics and has two-tone color matching on the bottom and trim.